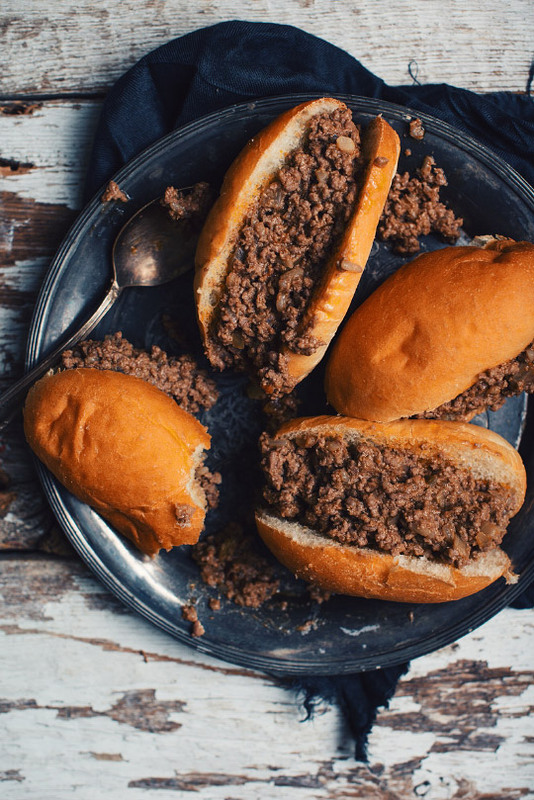 This delicious recipe of my mom’s sloppy Joes followed me all my childhood. It was a meal I appreciated a lot especially when coming back from playing outside in winter! In a big sauce pan at medium temp, heat a drizzle of olive oil. Add the onions and cook for about 5-6 minutes or until soft without browning them. Stir often. Add the meat and break into small chunks. Cook for about 5-6 minutes then add the mustard, ketchup, soup then season with salt and pepper. Stir well. Lower heat slightly then simmer for 35 to 45 minutes, while stirring regularly, until the mix thickens. Remove from heat. 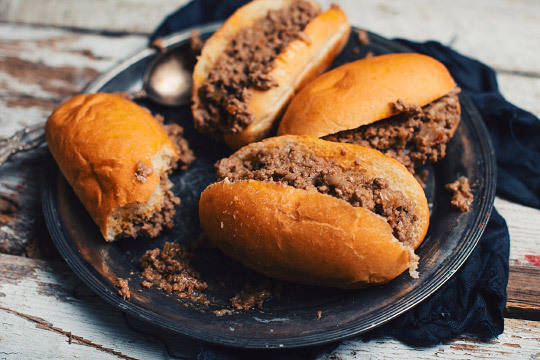 Lightly heat the bread in the oven or in the microwave then stuff them with the meat! Serve with your favorite salad and eat like there is no tomorrow. A bit rustic, but with an authentic and lovely personality, at an excellent price. With light notes of caramel and toasted, this herbaceous bitter beer will get along with the aromas of the meat cooked in a broth. Its moderate bitterness will be freed with the touch of reduced broth.